On this Memorial Day, I couldn’t help but think about my Momma. Of course I always think of our soldiers and what they gave for our country, but this memorial day was different for me, I stepped back in time and thought about the precious lady that gave me life. I thought about her laughter and giggles. The sweetest thing she was. She was shy, and unassuming, but would do anything for anybody. She was a helper Bee. She was pretty much perfect in my eyes. She was a concert pianist and once played in the Los Angeles Philharmonic Orchestra. My grandparents who were from Scandinavia were determined to make her a piano super star forced her to take many lessons for years and made her practice up to 6 hours a day. The results were tremendous but she was very humble about the whole thing and rarely talked about it. Her favorite thing to do was to play by ear, she was great doing the boogie woogie. I loved my Momma and so did my brother. I lost my Momma when I was 19 years old. Nearly lost my whole family in one quick moment of time. While taking my brother and his friends on a swimming party for his birthday, they were hit head on by a drunk driver going 120 miles per hour. I will never forget that morning when Momma came in to wake me up. Wanted me to go with them. I was to tired and decided to stay home. Had I gone I would have been in the middle seat and surely would have had the same fate as my mom. My brother and his friends were in the back of the pickup and were thrown out and all very injured, my brother being the worst. My dad was also very badly injured. It was a very horrible day in our lives and one that you never can imagine happening. 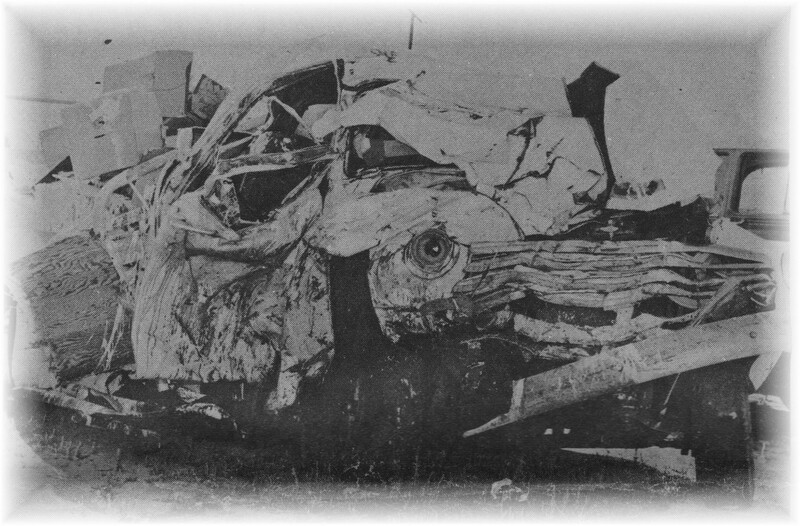 This photo is the truck in which they were riding. All of this to say: The heartache was so horrible, I had a really hard time induring it all. 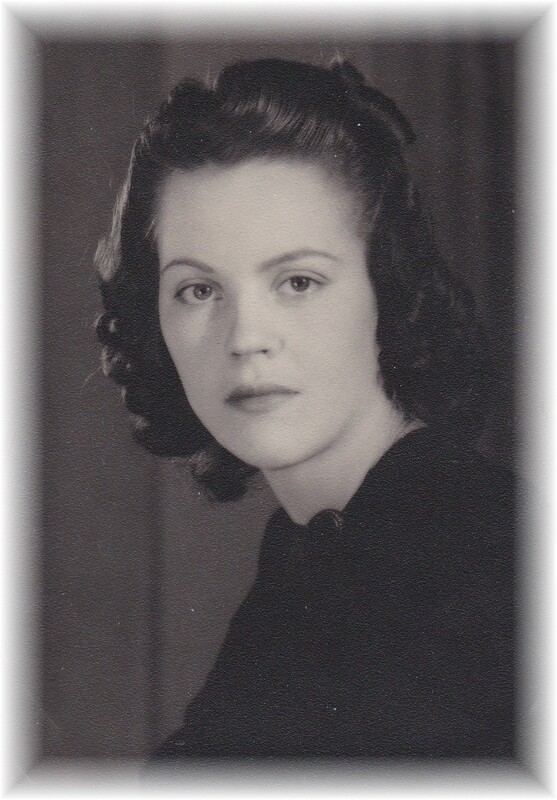 But what helped me most is that I knew my mom knew Jesus, and I cried out to the Jesus she knew for comfort. I later came to know him myself. Because I know my Momma knew Jesus I know she is there now with Him, and I can’t wait to see her again. What a hope we have. 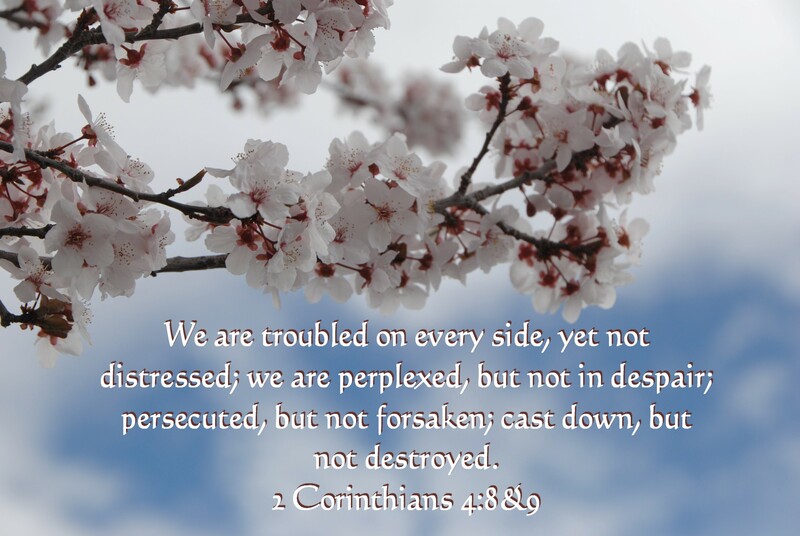 This life can give us some pretty tough times, but with the Lord we press on and will make it to the end of our journey, keeping our eyes on the Lord. Thank you Lord for my Momma who was such a great example for me in the 19 years I had her. As I have traveled, I always love to see the wonderful old churches, that can be found around our country. They can be in the middle of paradise, in green country pastures, and sometimes in the dry dusty desert. There has always been a remnant of people in any loation that will build a place of wordship. As I stand in these lovely churches or even view them from afar my mind goes to that time, and who these people might have been. 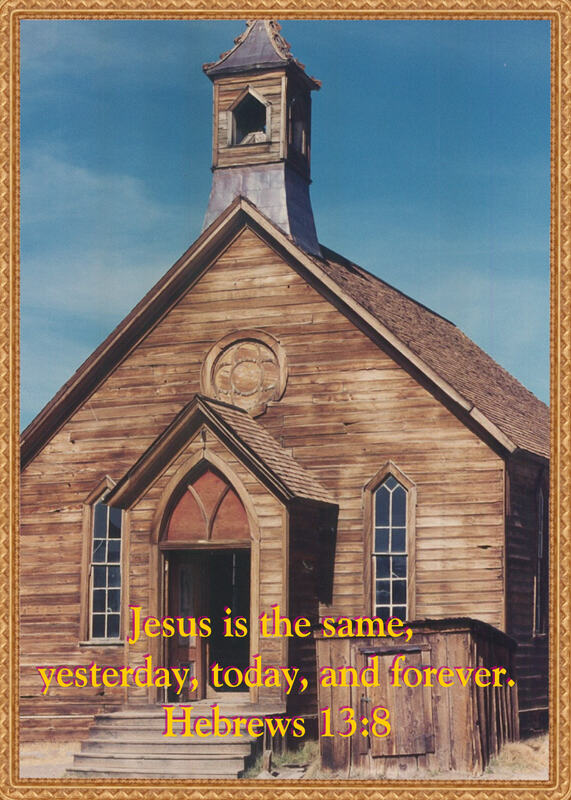 I am also reminded that Jesus is the same, yesterday,today,and forever. This church is in Bodi, California circa 1800’s. I think of the joy these people had as they built this church, board by board to honor and worship the Lord. Today many in the body of Christ meet in warehouses, store fronts, and the like, but no matter where we meet he is there with us, he has never changed and never will . There are times in life when we are not sure if we are loved back when we love. It’s really hard to know for sure about love and it can sometimes lead to heartache. But you can be sure if you love the Lord your God you will be loved back many times over. The next part of the above scripture means several things to me. Seek him early. Why waste your life thinking you will wait til you have sewn all of your wild oats. Time you could have spent with the Lord is wasted in those years. Second point of seek him early is; rise early in the morning when the dew is still on the grass and all is quiet. Meet the Lord in the morning light, for prayer. Meet him as you read the Word with him. Or just walk and talk with him. I find that the best time of all. That beautiful quiet time makes it easy to hear the still small voice of the Lord. What is a joyful noise? Well joy is the epitome of happy. You can be joyful when you are pleased, blessed or thankful. The Lord does all of these things for us. We are blessed, have much to be thankful for and I personally am very pleased with my Lord. That joyful noise can be singing joyfully unto the Lord. You can even make up your own song to the Lord, he loves hearing that joyful noise. You say “but I can’t sing.” Remember It says noise! We can praise him joyfully as we pray. Tell him how happy you are, and how blessed you are to know him. Think if you were the Lord, and all you heard was sad needs and complaints. He wants to hear the great things and the joyful things in our lives. He deserves our joyful praises! Make some joyful noises today. This little guy is my grandson. He is now 15 and a fine young man. As we walk along life’s path with our Lord, seek out his wonders. They are very instrumental in building our faith and love of the Father. A wonder is something awe-inspiring. Something far superior to anything. The dictionary even says a wonder can be a miracle. The saying goes, take time and smell the roses. I would say take time and see the wonders. I was in Alaska here and it was a wonderous moment. I was in awe and so thankful that I had the opportunity to take this photo. I saw a wonder!! A wonder can be right where you are. His wonders are all around us, the sky, the stars, the moon. A baby is a wonder beyond our comprehension. They are little miracles. 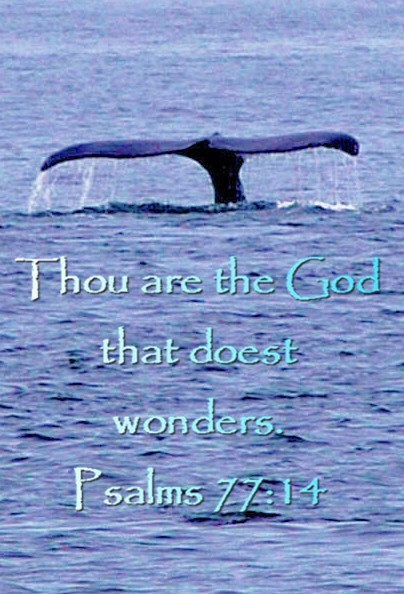 Today think about his wonders, and in life take time to see the wonders of the Lord our God.